The GRIVLA 3-in-1 jacket was designed and developed with children for children, because they often know best what makes a good kids' jacket. 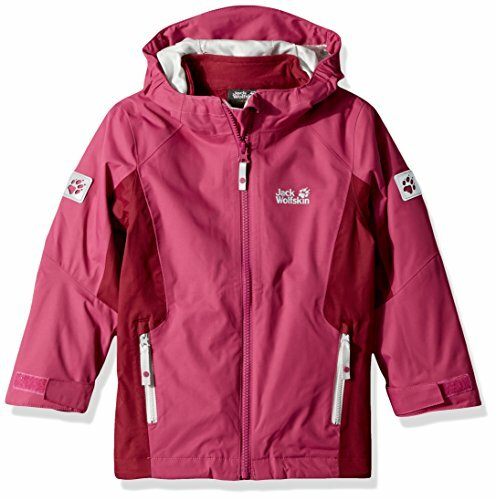 This is what they said: The outer jacket should be waterproof and breathable, and have a nice, soft feel. To make sure the hood never goes missing, it should be fixed to the jacket. There should be plenty of room for a neck gaiter or scarf under the collar. (Our solution was to include a fold-out chin guard that still provides protection when the zip is left open a little at the collar. Clever stuff, eh? )The kids also told us it would be nice if the inner jacket was a bit warmer than normal fleece. So we made this one from robust bipolar fleece - perfect for long days out in icy-cold weather. The GRIVLA 3IN1 jacket was inspired by Hannah Stein gasser. Together with her family, she is following the effects of climate change. The name GRIVLA comes from a bear whose cave Hannah came across on her travels with a bear researcher.